Are you looking to sell an old or used item? Sell items online fast and maximize your profits by writing product descriptions that are simple, short, and snappy. The effective use of buzzwords is an easy way to make your product listing stand out. Need some inspiration? Check out the 10 buzzwords below that will help you to quickly seal the deal when it comes to selling online. Let’s face it – we all love a great deal, which is why online marketplaces have become so popular. Highlight the savings by including the retail price and underscoring the percentage discount. While most of us shop online to save, a brand new item for a discounted price is the ultimate find. When appropriate, refer to an item in your listing as new or like-new to reassure potential buyers that the product listed is a deal – not a dud. When shopping online, we also want to know that the product is of the highest quality possible. Referring to an item as a quality product, when relevant, will indicate its tip-top condition, without the tip-top price. Many of us like to take advantage of saving opportunities by opting for an older or outdated model, as long as we know it is reliable. Mention that an item is reliable to underscore the good condition and dependability of a used or older item. Value is the top reason people choose to buy secondhand. Emphasize a product’s value in the description to showcase that your listing is the biggest bang for a buck. If you have invested in having a product upgraded, updated, remodeled, or refurbished, include this in the product description. This can instantly add value to an item in the eyes of potential buyers. The word warranty instantly gives credibility to the quality of an item. If the product you are looking to sell is still under warranty, this is a key point to include in the listing. Certain items are popular for a reason. If the item you are selling is a best seller, be sure to mention that in the product description. Letting people know that an item will only be available for a limited time creates a sense of urgency and adds value to the item. No one wants to miss out on a great deal! You is one of the most important words to include in a product description, since it creates a connection between the listing and the potential buyer. Frame your product listing as though you are speaking directly to the buyer. 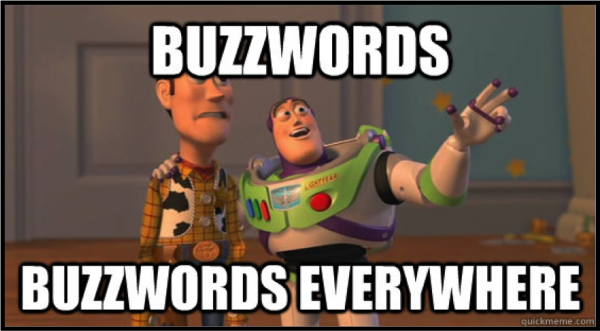 Snazzing up your product descriptions can be as easy as inserting a few of these relevant buzzwords. When listing your items for sale, use a trusted online marketplace such as 5miles to instantly reach potential buyers in your local neighborhood.